Many businesses want to find a payment solution that helps them to manage their expenses more efficiently while also buying items that they need in a timely manner. Commercial credit cards are one way that some businesses gain flexibility in making purchases, but they may not be the best option. Small businesses may be better off choosing business debit cards instead. Commercial prepaid debit cards may help businesses to control their expenses and to have more flexibility in their payment processes. What are debit cards for business? Debit cards are payment cards that can be used to make purchases or payments instead of using cash or checks. Unlike credit cards, the payments or purchases are made by subtracting funds from your linked checking account. Commercial debit cards may be linked to a company’s business checking account so that funds are subtracted directly from it when purchases are made. However, some commercial debit cards are prepaid. Prepaid cards are funded by the amount of money that you choose to place on them and are not directly linked to your business checking account. What are the benefits of debit cards for business? Debit cards for businesses and consumers have become increasingly popular in the U.S. over the past decade. Between 2012 and 2015, the value of debit card transactions in the U.S. increased from $2.1 trillion to $2.56 trillion. There are several reasons why the use of debit cards has increased for both consumers and businesses. When businesses use debit cards, they are spending their own money instead of accruing debt. Debit cards also do not have interest charges since the money that is available is owned by the cardholders. Businesses that use debit cards for all of their payments and purchases also can rid their businesses of cash and checks, making it more difficult for employees to commit thefts against the companies. There are several reasons why business owners might want to choose commercial debit cards for business instead of business credit cards. In order to obtain credit cards for your business, you will have to be credit-approved. This means that both your credit and the credit of your business will be checked, which can result in a drop in your personal credit score. Many business credit cards also require that their owners sign personal guarantees. If something goes badly for your business, this means that you will be on the hook for the credit card payments yourself. Most credit cards also charge interest, and the average interest rate for commercial credit cards is currently 14.6%. Debit cards do not charge interest, won’t impact your personal credit and allow you to have the same degree of flexibility in your purchases. Some debit cards may also help to protect your money while streamlining your expense management. 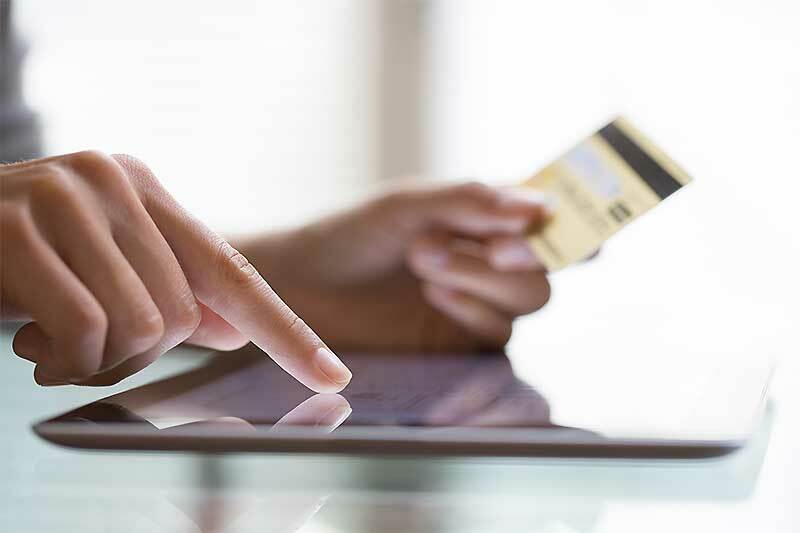 How can debit cards for business streamline expense management and help to prevent fraud? Some prepaid commercial debit cards such as the cards that are available from Bento for Business come with stringent internal controls. You can use the controls to restrict where, when and how much your employees are allowed to spend. You can also assign different spending categories to different workers, according to their job requirements. For example, your secretary might be able to order office supplies while a traveling salesperson might be able to purchase gas. However, your admin person’s card can be restricted to where he or she can’t purchase gas while the salesperson’s card can be restricted to where he or she can’t purchase anything other than gasoline at the pump. This can help you to keep your spending under control and within your company’s budget while preventing misuse and fraud. Bento for Business’s cards are integrated with your company’s accounting software so that the transaction data can be entered automatically. They can be used almost everywhere, and you can customize them with your company’s logo and name. Applying takes just 60 seconds, and you can receive your approval decision in a week or less. Call to learn more at 866.220.8455 or start a free 60 day trial.